At any given time, my nightstand is overflowing with books I want to read. All of them got pushed to the side on January 22 when The Wartime Sisters was released! 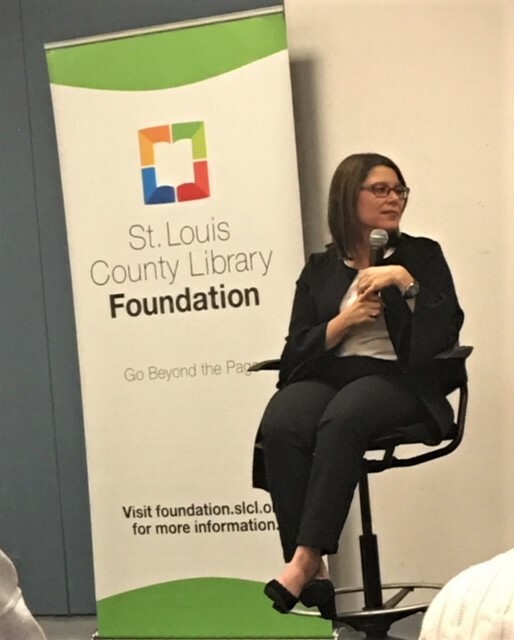 I escalated The Wartime Sisters to the top of the list because the author, Lynda Cohen Loigman, was making an appearance at the St. Louis County Library on January 28. That gave me six days to plow through this 300 page novel, which ended up being quite easy because from the first few pages I was hooked. Even though at times the book was predictable, it very much kept my interest and my desire to see what was coming next. The writing style of the author flowed and made me feel like I was walking with the sisters as they lived their lives. 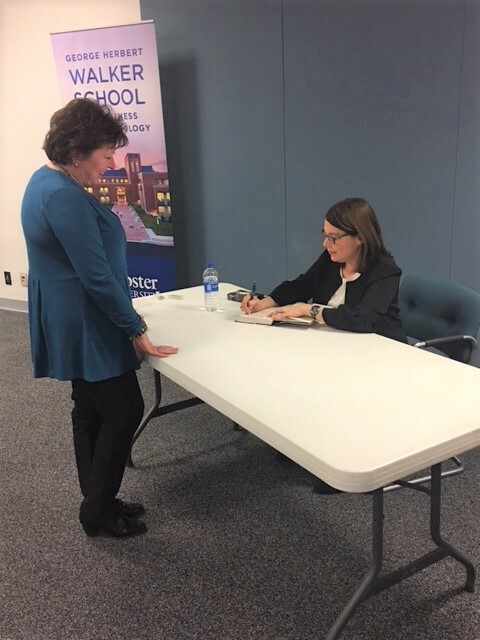 Meeting Lynda Cohen Loigman was just what I had hoped it would be! I had loved the book and didn't want meeting the author would ruin it for me. No fear of that! Lynda was personable and real. Her openness was a breath of fresh air and her stories on how she researched for the book was captivating. Have you ever been to an author event? I'm really starting to love going. 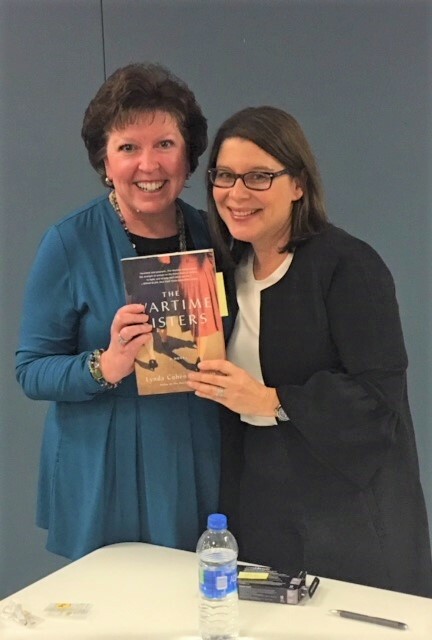 This was the third time I experienced being in the audience while an author talked about her book. The first time was a bust. But the last two have been really fun. I'm planning on attending another event on April 30. Martha Hall Kelly, author is Lilac Girls, is coming to town to talk about her new book Lost Roses. Lost Roses is being released on April 9 so I'll have a bit more time to get it read this time! "The million-copy bestseller “Lilac Girls” introduced the real-life heroine Caroline Ferriday. 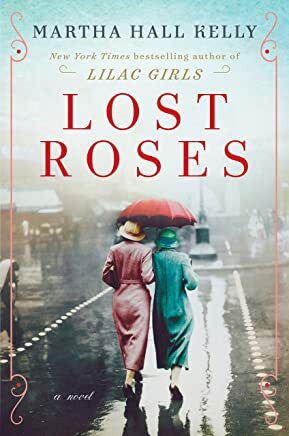 Now “Lost Roses,” set a generation earlier and also inspired by true events, features Caroline’s mother, Eliza, and follows three equally indomitable women from St. Petersburg to Paris under the shadow of World War I. It is 1914, and Eliza is thrilled to be traveling to St. Petersburg with Sofya Streshnayva, a cousin of the Romanovs. But when Russia’s imperial dynasty begins to fall, Eliza escapes back to America, while Sofya and her family flee to their country estate. “Lost Roses” celebrates the unbreakable bonds of women’s friendship, especially during the darkest days of history." I've never really thought of myself as a historical novel lover, but maybe I am! 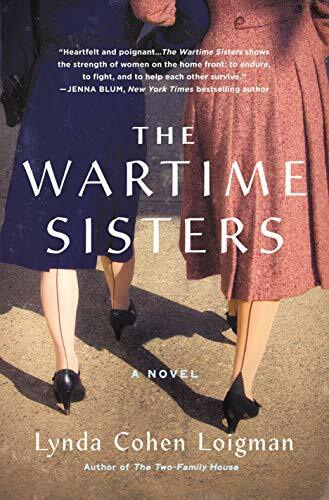 I loved The Wartime Sisters and I'm currently reading Lilac Girls and am enjoying that as well. It's kind of nice to feel like I'm learning a little something about history while enjoying the story. Are you a historical novel lover? What's your favorite book in this genre? I love going to author readings, it is such a teat! I saw Anthony Bourdin twice about 10 years apart and I was so taken with how tall and engaging and handsome he was ! Some authors are nervous and don't take questions. Some don't do readings at all and just sign books. Others like Tony are just delightful. I saw PD James and she was rude, so rude many people who brought her books for a signing left. It was such an uproar she demanded from her publicist to leave and she did! I have never been to an author event but I'd really like to do so at some point! This sounds like a really great read and it's so cool you got to meet her and get your book signed! Both sound really interesting. I never consider myself a lover of historical fiction but nine out of 10 times I do enjoy them so maybe I am also. Def want to read this book. I do not enjoy historical fiction but sometimes I wish I did. Interesting reads. May have to check them out. I read both Cohen's books as ARCs and absolutely loved them! I'm a big fan of books set in that time period. So great that you got to meet her!